​West Ham United will reportedly demand as much as £50m for star forward Marko Arnautovic, who has been heavily linked with a January move to the Chinese Super League. An un-named club, now rumoured to be 2018 CSL champions Shanghai SIPG, was believed to have made a £35m bid for Arnautovic last week. What's more, his agent and brother then told talkSPORT it is the player's 'great desire that West Ham accept the offer from China'. West Ham issued a statement in response asserting that the Austrian international is 'not for sale'. But in light of Arnautovic's alleged determination to leave, the club has been urged to sell rather than let the situation derail what has become a very promising season. 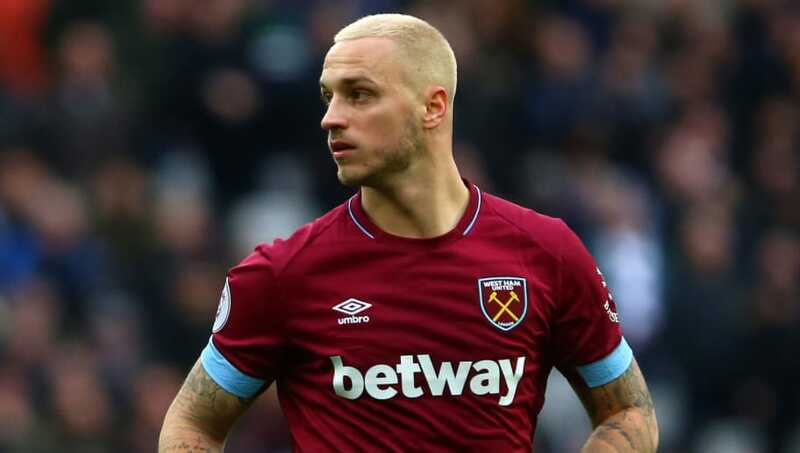 Former Hammers striker Ian Wright is one voice telling his old team they would be better off without an unsettled Arnautovic, who has a reputation as a troublemaker when unhappy. "I think he'll be a problem and I think that's what's happened at Stoke," Wright told BBC Radio 5 Live on Monday night. "I think he's been a problem most of the places he's been. He wants to go - I'd let him go. "You could see the way he came off the pitch on Saturday, he's gone, he wants to go and I would let him go because I think West Ham have got something going." West Ham won't be bullied into selling at anything other than a premium price, though, and a report from the Daily Mirror claims the club is holding out for £50m - that is more than double the £20m the Hammers paid when they bought the player from Stoke in 2017. West Ham would apparently then use that windfall as a way to help finance a move for Bournemouth front man Callum Wilson as a replacement for Arnautovic.